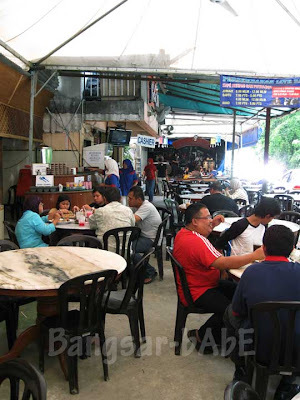 The bill came up to RM16 – RM14 for the Beriani Ayam Kampung and RM2 for limau ais. Super expensive, considering it’s just a roadside stall. o_0 Oh well, at least I got my beriani gam and it was damn satisfying! 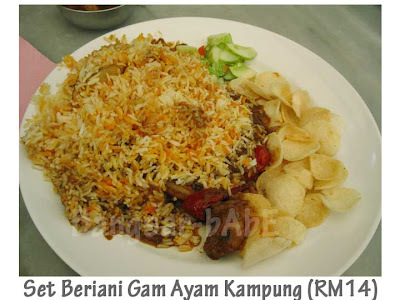 Verdict: Delectable beriani gam, not so pocket-friendly prices. *I have no idea how to get there, but I know it’s near the Serdang Hospital. 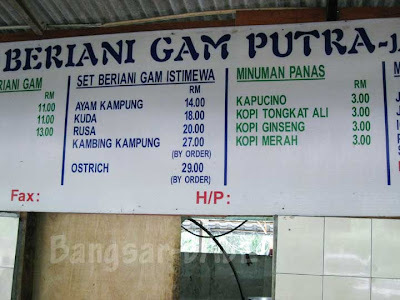 I want some Beriani Gam too. I want zee mutton, but that would burn a hole in my pocket. Daylight robbery! Sigh…. 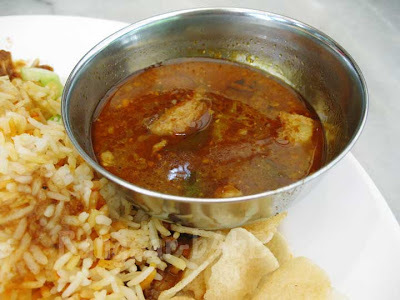 look not as oily as the one we get in Indian restaurant…but really pricey…ya! 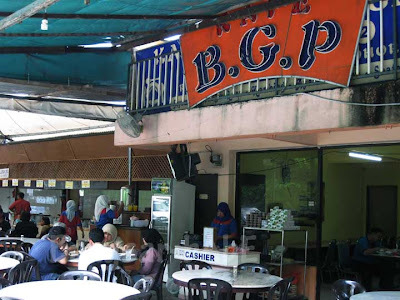 Been here once on the way back from Cyberjaya, and I enjoyed it thoroughly! But after this meal, I became strangely, rapidly averse to ghee, and now, I can no longer take biryani. Don’t understand why! walau weii.. got crossed-eyed when i saw horse and the price board! but hell..muz try at least once! wah~ the price is geng..RM14..ishh..
but since you said till so good.. might 1 day wait till i m a bot sot then will drive up and eat.. 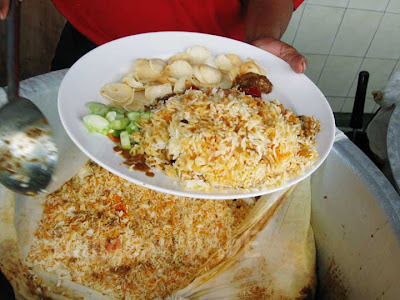 So this is the famous nasi beriani gum-a bit expensive.must try! thenomadGourmand – Yup, I couldn’t believe my eyes when I saw “kuda”! 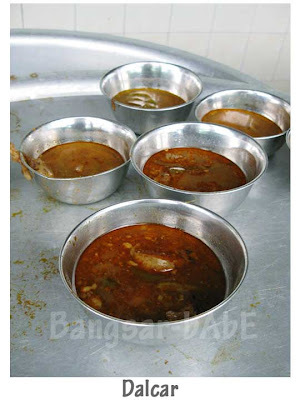 Next time we go lar…ajak you so many times de! Have no idea where this is, lol! But rather expensive hoh…ya, the kuda got me stumped for a while too! Hey BB; great meeting you today. Am sorry I couldn’t stay and chat for longer. Had my baking class to get to. You take care of yourself. And hope to see you soon. Wow, sounds like an interesting roadside stall (though I could do without the dust; you always have to cover your food when a big truck roars by). I’m curious about the beriani kuda, and also the muslin cloth steaming technique. And look at that dalcar! I’m crying with envy! Waa! CWF – It’s quite hidden, so you have too lookout for the signboard on the highway. You seem to cover a lot of area in Bangi. You work around there? No lar…so happened I went to both the beriani places in one day! 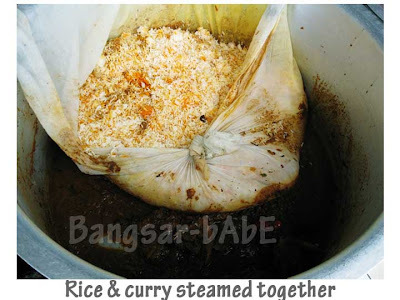 steam the rice with the curry ? Seems like lots of ppl never heard of this method…myself included! 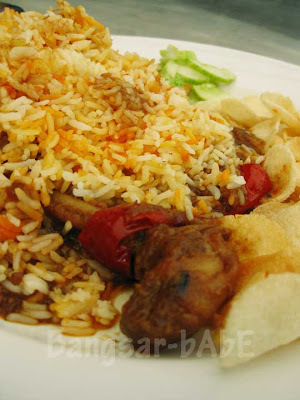 briyani gam from Johor right? delicious stuff, very very hard to find in Perak lah. or maybe i’ve been looking at the wrong places. 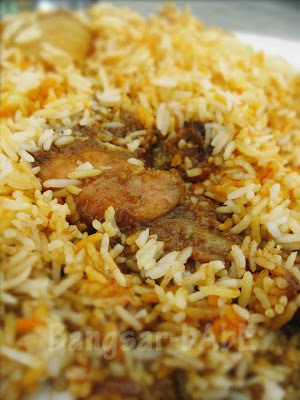 Biryani JM is my fav..my rave and my crave… stumbled on their blog..
No cues just aircond & sofas..
emmm ..have to go there again..